It is centuries that the Umbrian hills, most of all the Apennine mountains where Assisi, Spello, Foligno, Trevi, Campello and Spoleto are castled, are decorated with continous cultivations of olive "shoots". From these ancient cultivations comes into being, thanks to the sapient work of Umbrian farmers, handed down through centuries and already known to the Romans and the Etruscans, the extra virgin olive oil. As we said the olive-groves are settled on the slopes of the Apennine chain looking towards west. For this reason the insolation in the morning starts almost two hours later than in the areas exposed towards east, maintaining therefore the average temperature at a lower level even if it is of little grades, sufficient to delay or to avoid the late attacks of olive parasites. The picking, transportation, washing, milling and conservation modalities are all aimed at exalting the typical characteristics of a product asserted throughout the centuries. For this reason, the extra virgin olive oil produced in Umbria has a bright green colour, and a very pronounced savour and arome. 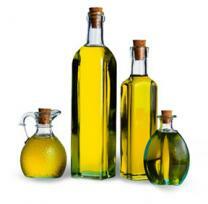 Another typical production is the biological extravirgin olive oil. The biological agriculture, besides guaranteeing the maximum salubrity for the consumer, minimizes the environmental impact and contributes to safeguard the nature that represents a good always more precious. The picking, the squeezing of the olives exclude any chimical product of synthesis whether in the fertilization of the land or in the fight against parasites, supporting in this way a better use of the nutritional elements by the plant. Bella Umbria offers you to visit selected italian producers of excellent DOP extravirgin olive oil, of extra virgin biological or aromatized oil. We advice you to have a look through these and other producers in order to discover the thousand fantastic savours Umbria can offer to the gourmets.